Whatever the lawyers did, it was enough to convince Upper Management to put the planned schedule change on hold and sit down at a meeting with us on Tuesday to hear our concerns. At the end of the meeting, however, they essentially turned our supervisor into a scapegoat and said all the problems are his fault. They kicked him out as our supervisor (which I'm sure came as a relief to him, actually) and then gave us three days to talk with our new supervisor and come up with a proposal to address their demands. Upper Management is determined that we need the graveyard shift, whereas we contend that it's not only unnecessary, it's dangerous for us and will result in worse performance from the canines. They just don't believe us. I came up with a plan for a proposal to implement the graveyard shift on a strictly temporary basis so that we can get factual data about canine performance that can be used to make further decisions regarding our schedule. I thought that was a reasonable compromise--Upper Management gets to see their ideas in action, while we aren't permanently stuck in a schedule that we believe will be terrible. I'm told the proposal was submitted on Thursday, but that was the beginning of my weekend, so I don't know how it went. I'm sure I'll find out more next week. If they reject the proposal, we go back to litigation. The beans that I planted last week are all starting to sprout, which is quite thrilling. After inspecting all the bean plots, I worked on transplanting some squash and cucumber seedlings into the garden. I should be able to work on the watermelon in another week or two. Was your now-former supervisor new? Why do you think the graveyard shift is unnecessary? Can they do anything that would make the shift less dangerous? He was new-to-canine, but not a new supervisor. Why do you think the graveyard shift is unnecessary? The flights that come late at night have lots of permissible food, but not very much that's prohibited. It's a waste of the canine's time. Can they do anything that would make the shift less dangerous? They can, but they don't want to. I hope it doesn't come to litigation. I like your idea of gathering data if you have to take on a gy shift temporarily. Good luck next week! Did you and co-workers hire the lawyers? 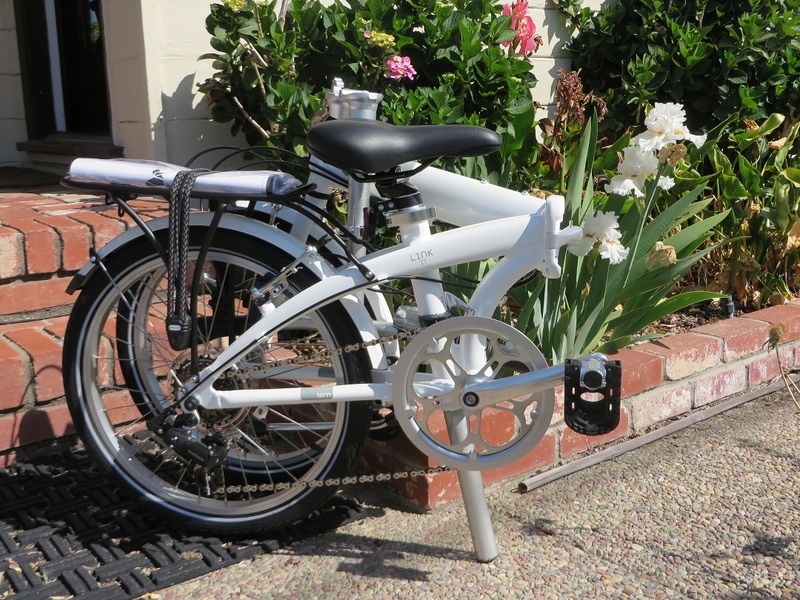 The folding bike looks nice. It'll be handy to help you get around locally too. You can grow watermelon here? O_o How many have you harvested in the past? Did you and co-workers hire the lawyers? They are the union lawyers. How many have you harvested in the past? Just one, last year. It was delicious! I'm trying that variety again, along with three other varieties, to see if I can get a better harvest. I see. It sounds like the lawyers are effective so far. I hope all goes well when you get an update next week. Cool! How many melons is a plant supposed to bear? Watermelon is one of my favorite summer fruits despite the 65 degree average temperature in san francisco. I hope you get an even better harvest this year! How many melons is a plant supposed to bear? It depends on the variety. The really huge ones generally only have one fruit per plant. The smaller cantaloupe-sized ones could have 4-5 per plant. I'm growing the smaller size, because they mature better under cool summer conditions. 4-5 per plant sounds great! Good luck and keep me posted! By the way, perfect icon!